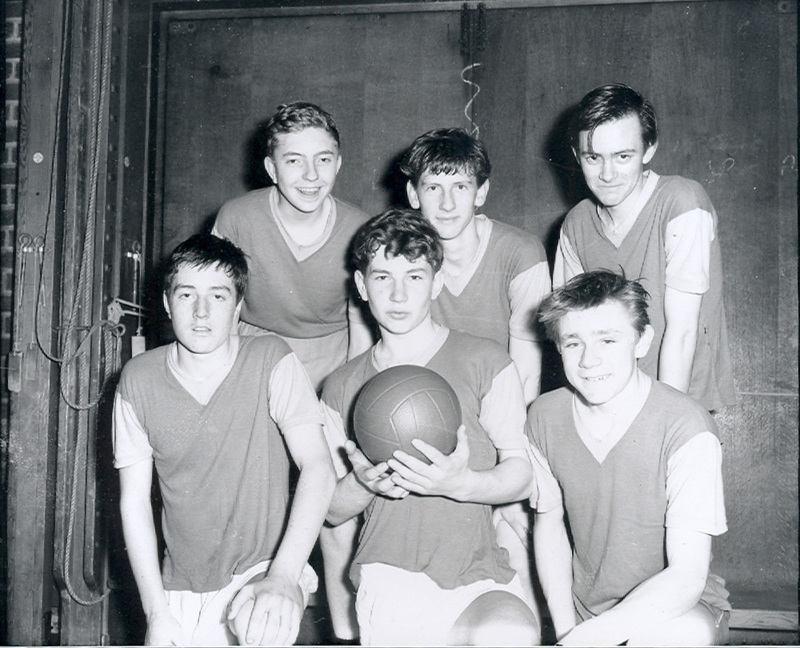 This photo of six lads with a basketball was taken in February of 1961. Front row from left to right: Allan McDonald, Michael Stead (possibly), John Johnson. The school later became part of Sir James Altham Comprehensive School. Are you one of the boys in the back row or do you know who they are? We’d love to hear from you – leave your comments below. This page was added on 23/02/2010. 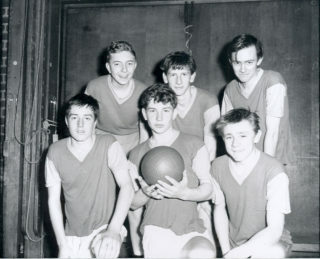 The front row of this picture: Alan McDonald, Michael Stead, John Johnson- all Clarendon pupils. I do not recognise the others apart from Brian Crockett in the middle of the back row who went to Hampden. Third from left front row, definately John Johnson, he has stuck in my mind ? do you remember me John, keep on singing. Unless there are two of them Steve Driscoll was in my class at Oxhey Wood & later Sir James Altham, we were born in ’57 therefore no correlation with the above timescale. I don’t think this is a school team. I believe Crockett and Driscoll went to Hampden. I played basketball for Clarendon for several years but only with contemporary Alan McDonald. There is a chance this could be a Clarendon Old Boys side as all those in the photo played football for the club. I am sure the boy in middle back row is Brian Crockett and the one top right is Steve Driscoll I played football with both of them.